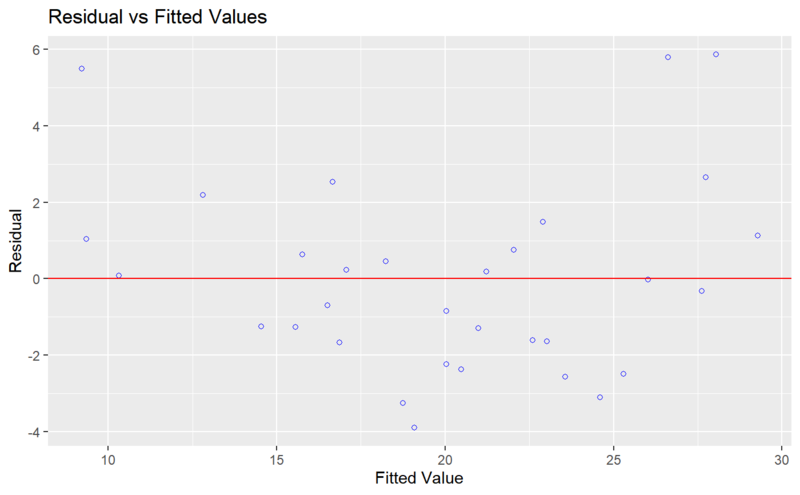 Scatter plot of residuals on the y axis and fitted values on the x axis to detect non-linearity, unequal error variances, and outliers. An object of class lm. The residuals spread randomly around the 0 line indicating that the relationship is linear. The residuals form an approximate horizontal band around the 0 line indicating homogeneity of error variance. No one residual is visibly away from the random pattern of the residuals indicating that there are no outliers. ols_rvsp_plot() has been deprecated. Instead use ols_plot_resid_fit().